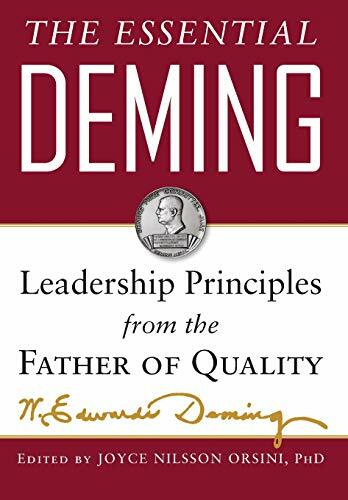 Published in cooperation with The W. Edwards Deming Institute, The Essential Deming captures Deming's life's worth of thinking and writing. Dr. Orsini provides expert commentary throughout, delivering a powerful, practical guide to superior management. With The Essential Deming, you have the rationale, insight, and best practices you need to transform your organization.